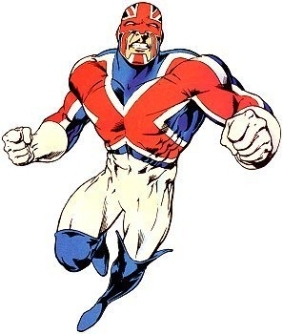 The only thing interesting about the character of Captain Britain is his costume. And yet somehow the character (created in the 1970’s to help Marvel’s expansion into the UK) persists, and has been a little-seen mainstay of the Marvel Universe over the past few decades. And not only has the character persisted, but it’s also been attracted some pretty high profile creators, and generated some pretty interesting stories over the years. This trade collects the CB stories featuring Alan Davis’ artwork after Alan Moore left Marvel Adventures in the early ’80’s. Why do I have this trade but not the one that collects the Alan Moore stories? Ummm….Hmmm….not really sure. I’ve read the Moore CB stories, and while I see the creativity in them, they come across as overly complicated and dense, and I think that it’s an early attempt at superhero deconstructionism by a writer that isn’t quite at the full peak of his powers yet. This trade continues a lot of the storylines that Moore began, and as such feels very much like you’re coming in half way through the story. I think what I like about this is the randomness. CB is supposed to be England’s greatest hero, but never seems to do anything heroic. He stumbles from one extremely bizarre adventure to another, and seems to succeed out of pure luck than through any innate heroic tendencies. I don’t know if I would want to read another series like this, but it’s charming and quirky enough for me to want to reread. Of course, you can’t mention Captain Britain without mentioning the art of Alan Davis, who was just settling into his role as one of the great superhero artists of the 80’s. This is the latest attempt at making Captain Britain part of the mainstream Marvel U, and in my mind, one of the most successful. 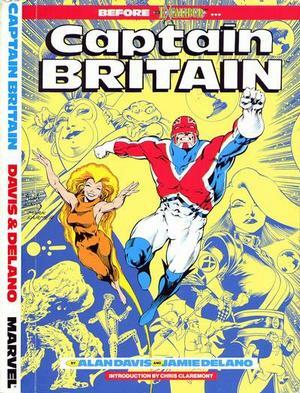 The premise here is that Captain Britain is the field leader of a UK government sponsored superhero squad, whose main mission is the defence of Britain. He does so vigourously, and over the span of 18 issues battles Skrulls, vampires, and other magical mumbo jumbo. This is one of my favourite Marvel series from the past few years, but I’m not sure whether or not that it’s because it’s that good, or because it’s just that different. I’m going to go with a little of both. This series really reminded me of great team books from the 80’s, like pre-Crisis Justice League, the Roy Thomas-era Avengers, the original Paul Levitz Legion, and so on, in that it deftly combines big superhero action with just enough human drama to keep things from getting too crazy. My critique is that it moves along just a little too quickly for us to really absorb a lot of the powerful emotional beats that it contains. This book is extremely fast paced, and writer Paul Cornell crams 5 trades worth of material into 3 books. The last arc (Vampire State) feels particularly rushed, though the poor sales that caused the early cancelation of the book are probably to blame for that. 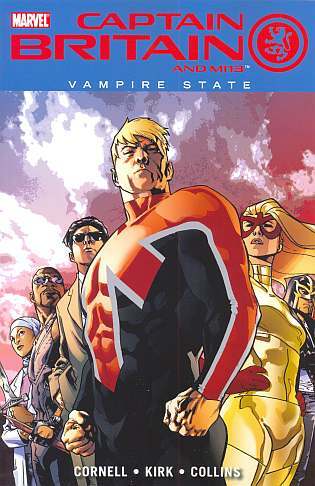 However, it’s Vampire State that brings us one of the best Marvel vampire stories of all time, and it did what I thought would have been impossible by turning Dracula into a top tier Marvel villain. Vampire State is a true Marvel epic, and one that went criminally unread. If you’ve been bemoaning the state of superhero comics lately, and have heard yourself mutter “They’re just not the way they used to be”, I have good news. CB&MI3 IS superhero comics the way they used to be: Fun, epic, with a major heroic sensibility that influences the whole book. Next up: The greatest dead superhero of all time. No, not Jesus. The other one. This entry was posted in Comic Books and tagged Alan Davis, Alan Moore, Captain Britain, Marvel, Paul Cornell. Bookmark the permalink. Wednesday Comics Woundup: Who Is Jake Ellis?